According to Howard Rheingold, author of Smart Mobs: The Next Social Revolution, “Smart mobs emerge when communication and computing technologies amplify human talents for cooperation. 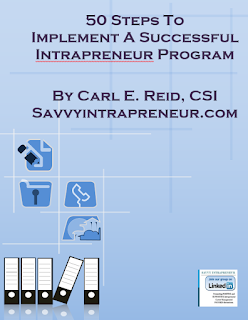 The impacts of smart mob technology already appear to be both beneficial and destructive. . .”. You may have heard news stories of large groups of people converging in public places like train stations, malls and other public places for no apparent reason. Then they disperse just as quickly as they came together. This is also known as Flash Mobs. The slogan of a certain smart mob web site is “Organize, Congregate, Act, Disperse”. Business meetings might be shorter and more productive, if the same motto was applied. Although email and instant messaging are used, short message service (SMS) initiated from cell phones, is the preferred communication tool for smart mobs. Smart mob communication techniques can be employed to quickly organize business meeting for responding to unexpected situations that need immediate attention. Smart Mob techniques can be utilized for social or network gatherings, as well. Using your cell phone, you can quickly send/copy a message and disperse it to many people, plus have a record you sent the message. - Something happened to a family member that requires immediate notification of all family members. "cousin antsie just fell off a ladder and broke her leg. meet me at the hospital". - A team project situation requires all team members to assemble quickly for a quick brain storming session to resolve an unexpected glitch. "the new system just shut down and the executive team is screaming. assemble everyone and call me ASAP"
- Improving parent-child-teenager communication by using SMS text messaging to communicate. It's unobtrusive and uses a preferred communication medium kids are into. "ur friend angie just came by. give her a call - mom"
- Team members are disparately located around the world and you need to assemble everyone, but not disturb them. Sending a SMS to everyone's cell phone is the preferred mechanism for communicating. "We need to have a conference call today with everyone on the team at 3:00PM EST. It's important. Dial this number at that time . . . " . TXTMob.com is a very useful tool for smart mobbing. It allows you to set up a group where people can input their cell phone number to be notified for a meeting / event. An organization called Critical Mass uses TXTMob.com. They organize bicycle rides in major cities throughout the United States to promote bicycling as alternative transportation to cut down on pollution. Critical Mass has no web site or central geographical location in the United States, yet they have been extremely effective at organizing their bicycling events . Critical Mass uses Smart Mob techniques to organize events. 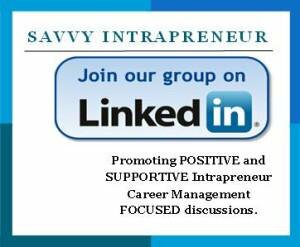 Savvy Intrapreneur has a smart mob group (SavvyNYC) on TXTMob.com to notify and remind people of upcoming networking events in New York City for mature professionals and business owners.